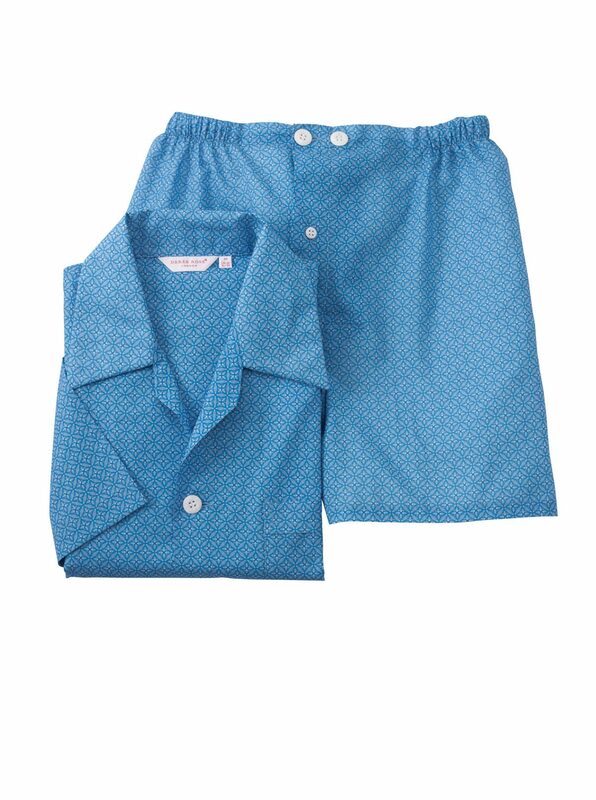 Brighton Short Pajamas by Derek Rose in a tasteful medallion print of pure cotton. Button front tops have 1 pocket, soft shirt collar short bottoms have softly elasticized waist. Imported.